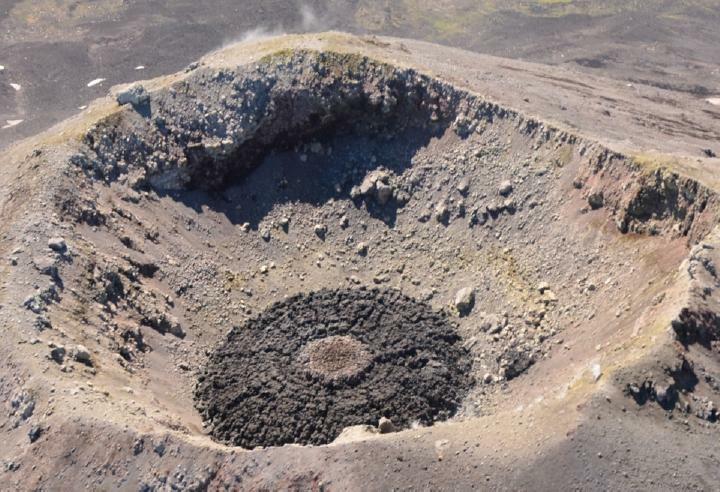 A small flat lava dome covering the crater floor could be observed during an overflight on 4 Aug. The surface temperatures of the solidified lava measured by the field crew were in the range of 550-600 Celsius (1000-1100 Fahrenheit), which is consistent with cooling lava. Minor ash and gas emissions also were observed. A small explosion occurred on Thursday, August 6 at 22:03 AKDT (08/07/15 06:03 UTC). No ash cloud was observed from this explosion, in satellite or web camera images or by observers. Observations of diffuse ash emissions and small explosions indicate that eruptive activity is still occurring.